To minimize future problems and get immediate pain relief, it’s important to get to an emergency dentist as soon as possible while taking your own precautionary measures. Here’s how to handle the top 3 dental emergencies. If you discover you have a chipped or broken tooth, don’t panic, because your dentist can help! If you don’t seek immediate assistance from your emergency dentist, it could result in further damage like an infection or tooth loss. Before you’re able to get to your dentist, you can rinse your mouth with warm saltwater and take an over-the-counter pain reliever like acetaminophen. If your tooth appears to be jagged or sharp, try to cover it with a piece of wax to keep it from cutting your tongue, lip, or cheek. It’s also best to try to avoid eating before you can see your dentist, but if not, stick to soft foods only. Your searing toothache could be a result of tooth decay, a damaged filling, infected gums, or various other problems. 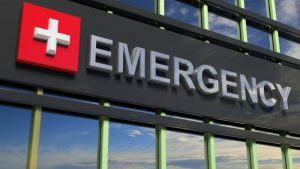 Some serious symptoms that will alert you to whether or not it’s an emergency include sharp or throbbing pain, facial swelling, fever, or headache. Be sure to see your emergency dentist if the pain lasts longer than one or two days. Some ways that you can help the pain are to rinse your mouth with warm saltwater, gently massage the surrounding area of your tooth with an antiseptic or use a cold compress to help reduce swelling and pain. Some ways to prevent toothaches are to maintain good oral hygiene, use fluoride-containing products, and remember to see your dentist for regular checkups. Millions of teeth are knocked out every year due to accidents and injuries—this doesn’t mean your tooth is gone for good. If you know what to do, you can save your tooth so it can be successfully replanted. In this kind of emergency, you’ll want to react fast. Pick your tooth up by the top, not the root and gently rinse it with water if it’s dirty. If you’re able to, try to reposition your tooth back in its socket. If not, you’ll want to keep it moist by putting it in milk or between your cheek. Try to get to your dentist within an hour because this will increase the chances of it being saved. For knocked out teeth, the best way to prevent this kind of trauma is to make sure you wear a mouthguard if you play sports, or just generally be aware of your surroundings. Being well-prepared can help to reduce your anxiety during an emergency and save you from having to deal with even bigger oral problems in the future. Knowing what constitutes as a dental emergency is helpful to being able to think on your feet about your next move. By being prepared before one happens, you can quickly turn a dental emergency into a distant memory. At Blanco Circle Dental Care, our dentists can provide you with fast pain relief and emergency treatments. Our doctors are often able to schedule you same-day appointments so you don’t have to sit and worry how severe your situation is. In this nerve-wracking situation, let our experts help ease your panic and discomfort. For any questions or to schedule an appointment, visit our website or contact us at 831-586-8002.